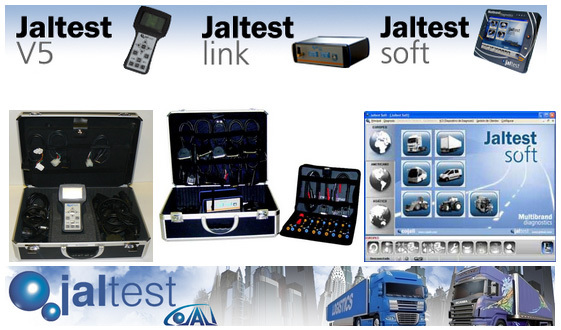 Since the beginning of this year our firm has been using the new JALTEST diagnostics system. Welcome to the website of Autocentrum Kalčík, s.r.o. Allow us to tell you something about what Autocentrum Kalčík does and to offer our services. Our company was established in 1993, focusing on repairs of communal and agricultural equipment. Our sphere of activities expanded over time. We currently offer comprehensive services in the fields of cargo vehicles, service, manufacture and sale of all brands of spare parts. We have some parts in stock, and can deliver the rest in a very short space of time. We work directly with plants manufacturing chassis and superstructures. We repair waste collection equipment, summer and winter road-maintenance equipment, building machinery, and forestry machinery, and prepare vehicles for the STK (MOT check). We service andrepair al communal superstructures andwe manufacture tippers for pick-up superstructures. We repair bulk pressing skips and presses for separated material. We provide the custom manufacture and repair of hydraulic pistons andhydraulic hoses. We have the majority of parts in stock. For our clients we provide a 24-hour service, including Saturdays and Sundays. Service opening hours: Monday – Friday from 7:00 to 15:30. Service can also be booked outside working hours by prior arrangement.